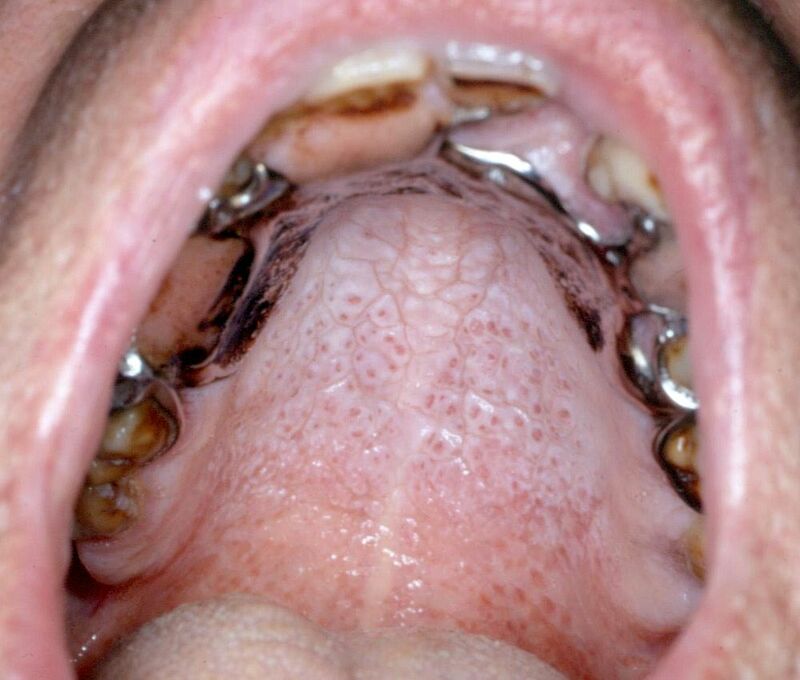 Nicotine stomatitis is a common form of keratosis of the hard palate seen in long-term smokers. It is commonly associated with pipe smokers, although it is seen in cigar and cigarette smoking as well. The lesion develops due to the heat generated from the tobacco product which as result induces a reactive process causing inflammation, hyperplasia and keratinization of the palatal mucosal epithelium.